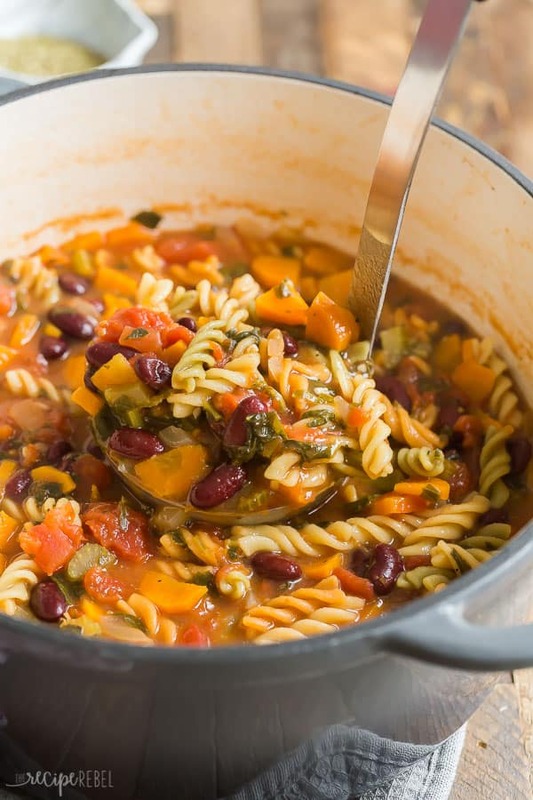 This easy Minestrone Soup is an easy, healthy meal loaded with veggies, beans and pasta. 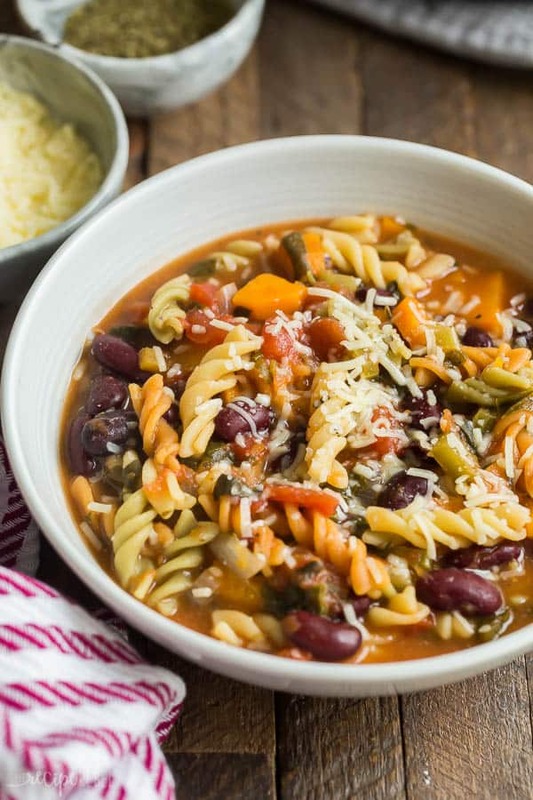 It's vegetarian, dairy-free and has gluten-free options! 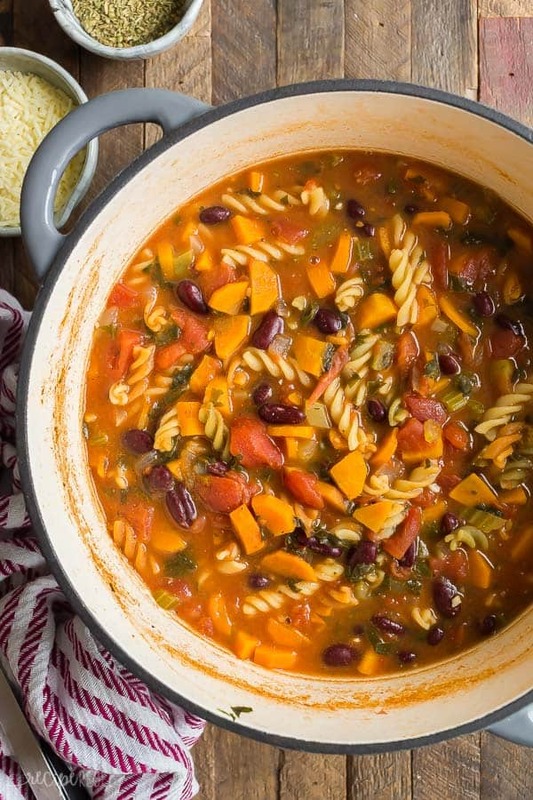 Make ahead and freezer friendly.